*Corresponding author. Tel. : +14167362100; fax: +14167365287. E-mail address: pkhaiter@yorku.ca (P. Khaiter). The concept of sustainable environmental management is expressed on the basis of ecosystem services as it enables getting to the quantitative measures. A practical utilization of this interpretation of sustainability requires a mechanism whereby all the goods and services provided by ecosystems are adequately quantified, valuated and incorporated in the decision-making process. Each of these tasks is substantially non-trivial. In order to deal with said complexity, a sophisticated information system has to be available to the stakeholders of environmental sustainability. An environmental software modeling framework, as a tool implementing the tasks of sustainability, is conceptualized in the meta-model of the Unified Modeling Language. The task of sustainable management is articulated as an optimal control problem, though other articulations are also possible. The overall multi-layered architecture of the framework and its key software components are discussed in the paper. Internal functional logic of each software component is described in terms of UML diagrams due to their proven semantic, descriptive and visual power in modeling and presenting of the software requirements and related artifacts, full compatibility with the object-oriented paradigm of the software systems development and a round-trip engineering feature supported by a spectrum of commercial and free CASE-tools. 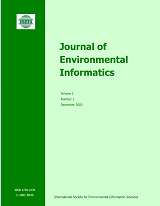 An approach presented in the paper can be suggested as a standardized methodology suitable for a broader range of software undertakings in the domain of environmental informatics.